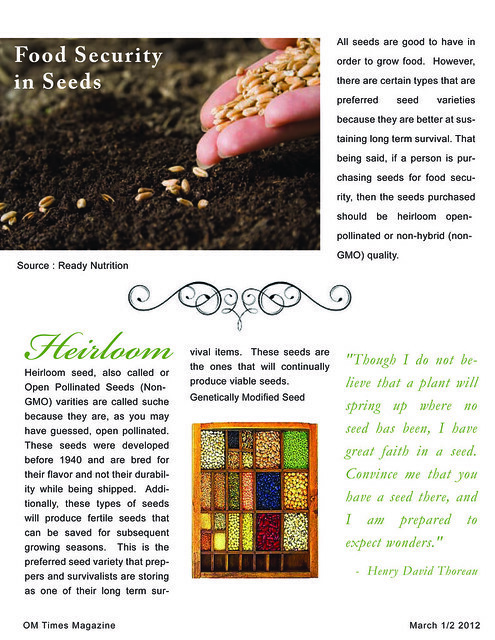 As many are beginning to take interest in buying seeds in order to secure their future, there is confusion as to what type of seed to buy. With the different varieties available such as genetically modified (GMO), non-genetically modified (Non-GMO), and heirloom seeds, it is no wonder why there is such confusion. In a survival situation, finding the right type of seeds that will offer vitamins and food security with reoccurring harvests will be of great importance for long term survival. All seeds are good to have in order to grow food. However, there are certain types that are preferred seed varieties because they are better at sustaining long term survival. 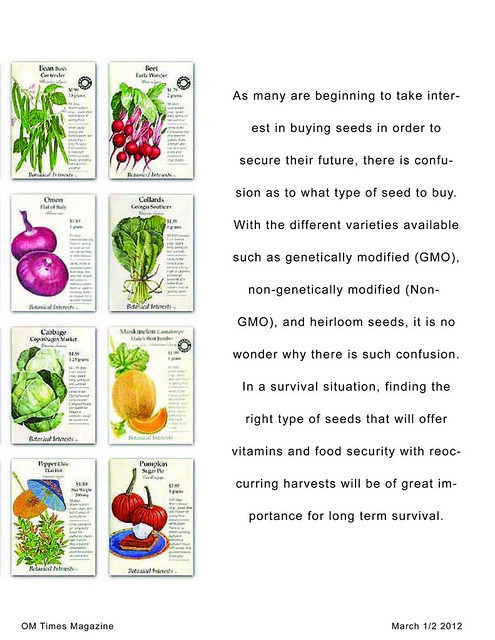 That being said, if a person is purchasing seeds for food security, then the seeds purchased should be heirloom open-pollinated or non-hybrid (non-GMO) quality. In present time, Americans are struggling in the midst of a severe economic downturn and that makes us all feel a loss of control. Growing a garden helps us to gain back control over crucial basic needs, our financial and food security. Growing our own food rewards us in so many ways, all the way from eating healthy to saving on the grocery bill. Unfortunately many in America today do not get to experience the rewards of freshly grown food. 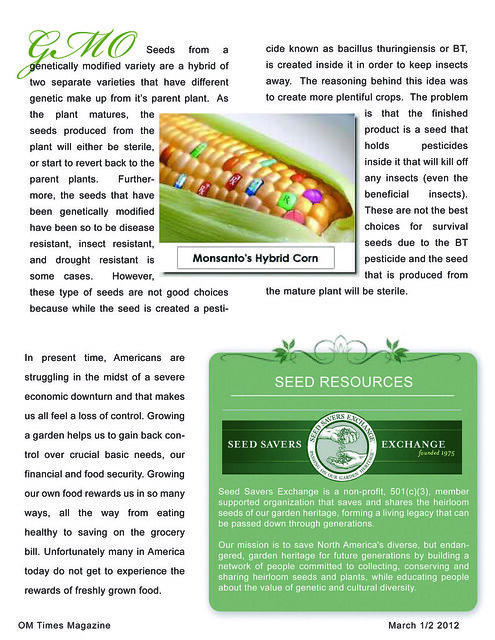 Seed Savers Exchange is a non-profit, 501(c)(3), member supported organization that saves and shares the heirloom seeds of our garden heritage, forming a living legacy that can be passed down through generations. Our mission is to save North America's diverse, but endangered, garden heritage for future generations by building a network of people committed to collecting, conserving and sharing heirloom seeds and plants, while educating people about the value of genetic and cultural diversity.